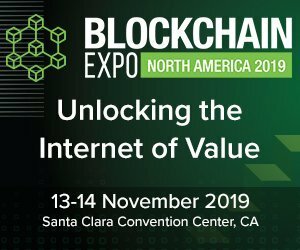 Blockchain Expo North America will be returning to Silicon Valley in 2019, on 13-14 November. The World’s largest Blockchain Conference and Exhibition focuses on the future of enterprise technology. Bringing together more than 6000 people across key industries for two days of world-class content from leading brands embracing and developing cutting edge blockchain technologies. Co-located with IoT Tech Expo, Cyber Security & Cloud Expo and AI & Big Data Expo which attract an additional 8000 attendees, the exhibition provides a fantastic opportunity for networking and learning. Ultimate Pass – Full access to Blockchain, IoT, Cyber Security & Cloud and AI & Big Data Expos, in addition to networking opportunities, expo features and copies of the sessions materials post event. Gold Pass – Access to all Blockchain Expo conferences, networking evening, and our event networking app. The pass also gives you access to conference materials post-event. Free Expo Pass – Access to the free Blockchain, IoT, Cyber Security & Cloud and AI & Big Data Expo conference tracks, as well as the exhibition floor. Paid tickets may be purchased here, and free tickets are available here.